Everyone in the UK is responsible for paying tax, this money then funds the UK’s public services. It is your responsibility to ensure that you pay the right amount of tax and on time, otherwise you could face serious penalties. Sometimes people running their own businesses experience genuine financial difficulties which means they cannot pay their tax, if you find yourself in this position then the worse thing you can do is ignore the payment demands. The best way for you to avoid having problems paying your tax is to plan ahead, so that you know when your payments are going to be due and can manage your cash flow so that you have the money to pay your bill. Cash flow is the movement of money in and out of your business. To pay your bills on time you must make sure that you have enough cash to do so. The most common taxes you will need to make provisions for are Self-Assessment Tax (on your personal income), Corporation Tax (on limited company profits), Value Added Tax (on sales, if you are VAT registered). 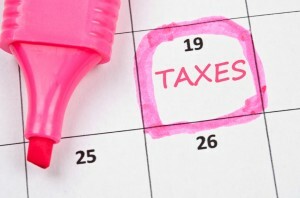 Each tax has a different deadline for filing your return and paying what you owe. HMRC will write to you with details of your deadlines and you would be wise to set reminders in your diary. If you owe tax and cannot pay, the worse thing you can do is ignore HMRC’s demands for payment. Failure to pay by the deadlines may result in HMRC taking legal action to recover what you owe. Whether you are a sole trader, partnership or limited company director a4c are on hand to help you manage your personal and business tax affairs. Of course it goes without saying that we will prepare your accounts accurately and on time. In addition, if we spot ways for you to improve your cash flow or generate more income then we’ll be working hard to help you reach your full potential. And don’t worry, we know that financial accounting can sometimes seem like a foreign language that’s why we will happily explain things and answer your questions without any of the usual accounting stuffiness! For more information give us a call on 01737 652 852 or email info@a4cgroup.co.uk. Previous PostPrevious Can you claim childcare costs as a contractor? What National Insurance do I pay?